Parinda is perhaps one of the finest gangster films made in India. Though at first glance, the plot appears to be typical, the film, ‘inspired’ from On The Waterfront (1954), has a gripping narrative, an energetic pace, abundant emotional charge and bravura cinematography. Right from the almost lyrical opening introducing the viewer to Bombay, Parinda proves that a slickly well-made film can be equally gut-wrenching as it also tries to understand the human side of the underworld. The ambiance of the underworld of Bombay and the gang war sequences both behind and in front of the warfront have rarely been captured better. Shooting on location gives the film its unique Bambaiya flavour and style. The film is a brave effort by director Vinod Chopra to bring a logical sensibility to mainstream Hindi Cinema and to prove that better films can be made within the commercial network. What’s more the film more than succeeds in getting this point across. The highlight of the film is its technical slickness – the soundtrack, cinematography and the editing. The film is brilliantly shot by Binod Pradhan with dynamic tracking shots, tight close ups and excellent use of the tele-lens. The razor sharp editing keeps the unflagging pace of the film without letting up. The sequence where Anil Kapoor kills one of the gang henchmen in the midst of various heavy machinery is a brilliantly cut sequence. In terms of actual shooting, it is just one long shot of Anil killing the man and some close ups of the machinery in motion but when it is put together with the machinery shots interspersed with the killing it gives the entire scene a totally new dimension. This is one of editor Renu Saluja’s favourite sequences in the film and an example she used to talk about, often. Further, the two central performances help lift the film several notches among the commonplace. Nana Patekar’s performance as Anna is the highlight of the film striking exactly the right balance between madness and terror. In the scene after Jackie asks him to leave Anil alone and sensing Anil to be Jackie’s weakness, when he calmly tells his lieutenant (Suresh Oberoi) that if brotherly love comes in the way of Jackie’s work, kill both of them, Nana literally makes one’s hair stand on end. In fact, Nana has been unable to really grow out of this manic mould and there is a bit of Anna in all his subsequent performances. And unexpectedly but pleasantly so, Jackie Shroff gives a performance of great depth and feeling. He is absolutely brilliant in the scene where he is drunk and lets bare his feelings and more than holds his own in his scenes with both Nana and Anil Kapoor, both regarded as far superior actors. Anil Kapoor actually is a disappointment in the film. Loud and filmi, you feel he has just come from the municipal school right round the corner rather than being America returned. Admittedly, he does still have his moments as in the scene where he does his first killing. Madhuri Dixit is more than adequate as Paro. Her introduction in the film in the morgue though is a total letdown after the build up we have of her through Karan. RD Burman scores on the background score of the film, but while the songs are melodious, they are all not entirely original. For instance Tumse Milke is but When I Need You rehashed. 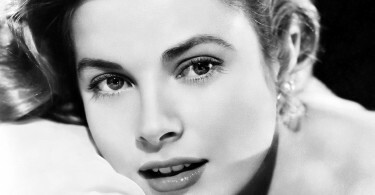 The song picturizations too are not too noteworthy and are among the comparatively weaker visual aspects of the film. Through a great critical success, Parinda was only a moderate success at the box office perhaps because for its mainstream audience its commercial items like the songs could have been handled much better – and perhaps because for them the film is too dry. Indian audiences have been fed too long on episodic films with comedy, romance, action, and emotion in turns to really appreciate storytelling of the sort in Parinda. It is a film that once it catches you by the collar, it refuses to let go. But then that is precisely its strength making for such a hard-hitting film. 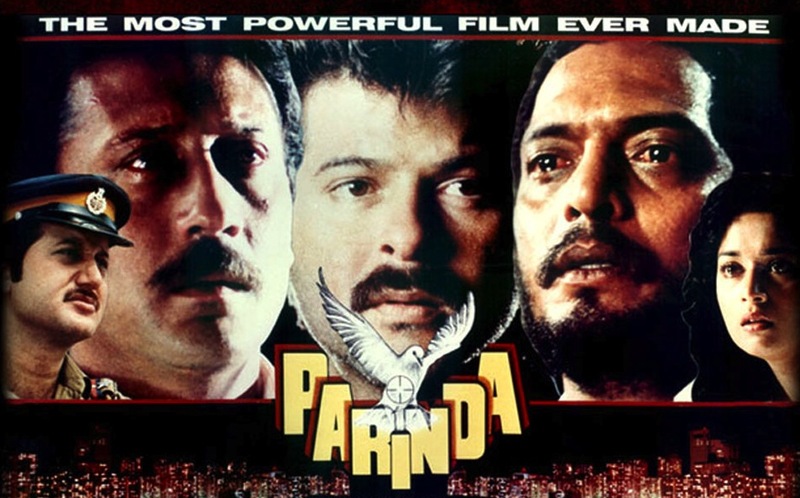 Parinda went on to win several awards among themThe National Awards for Supporting Actor (Patekar) and Editing (Renu Saluja), while Jackie Shroff deservedly won the Best Actor Award from Filmfare and Vinod Chopra, the Best Director. Post Parinda, there have been efforts in mainstream Hindi Cinema to make more realistic films about the underworld – Satya (1998) and Vaastav (1999) to name two good efforts – but cinematically, Parinda still remains the most powerful of them all.